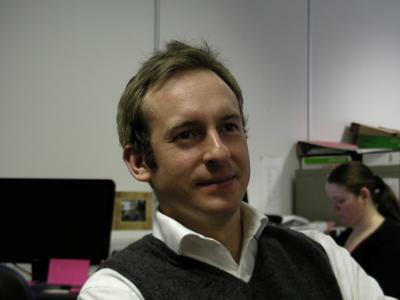 Dr Simon Box is a Visiting Research Fellow within Engineering and Physical Sciences at the University of Southampton. Have you ever heard someone ask a question like this: “We can put a man on the moon, so why can't we make the [trains run on time/ traffic run smoothly/ airports run efficiently]”? I believe this question deserves attention. At its peak about 400,000 people worked on the Apollo moon landing programme, this sounds like a large number but when you compare it to the number of trips made daily on the UK's transport system (163 million) it's tiny. The scientists working on the Apollo programme were motivated, managed and connected, they knew what their overall goal was and each person knew what they had to do to achieve it. By contrast the people in the transport system are independent and unconnected. While they each have their own goal they are not aware of, or even motivated towards the actions they could take to make the system as a whole run smoothly. I am interested in how to understand and control systems that are ‘stochastic’ (meaning they contain a lot of uncertainty) especially when that uncertainty comes from having lots of humans ‘in-the-loop’, as in traffic systems. To read about my research into Machine Learning traffic control, click the Research tab above. In addition to my main research interests above I am also interested in model rocket flight simulation and I manage the open source project Cambridge Rocketry Simulator. This software was used in an attempt on the UK amateur rocketry altitude record in 2011 (filmed by the BBC). In my spare time I like astronomy and am working on a Raspberry Pi based instrumented telescope. My research career began in the Hopkinson Laboratory at the University of Cambridge, where I studied for my PhD. The project was to design a ‘Nanoparticle Spectrometer’, an instrument that measures the number and size distribution of tiny particles in gas samples. Counting nanoparticles involves observing their paths in an electric field, a problem that is imbued with uncertainty. The path is a function of the particle's size (which follows a lognormal distribution) and its charge (which is governed by the Boltzmann distribution) and all the while it is perturbed by the bombardment of gas molecules (Brownian motion). This was my first exposure to the idea that it is possible to make accurate predictions about systems that are built on many layers of uncertainty. I have been fascinated by modelling ‘stochastic’ systems ever since. Following my PhD I worked for Microsoft Research in the Machine Learning and Perception group. My job was to write software for simulating the flight path of unguided sounding rockets. These rockets are at the mercy of atmospheric conditions and small uncertainties in their physics making their flight path stochastic. This was an opportunity develop fundamental knowledge of stochastic modelling techniques In a completely new area. I joined the University of Southampton as a post doctoral researcher in 2008 and I was appointed to the position of New Frontiers Fellow in 2012 and then appointed a Lecturer. I have now left the University and am a Visiting Research Fellow. I now apply my knowledge of stochastic modelling to develop methods to understand and control traffic systems; read more about this on my Research tab. I also enjoy outreach work and presenting my research to the public, for example at the 2011 Royal Society Summer Science Exhibition. Waiting at red traffic lights is frustrating. Sometimes it feels like they haven't been set up in a very smart way. How hard can it be? -- In fact it has been mathematically proven that finding the optimal switching policy for traffic lights on a network of junctions is computationally intractable. This means that even if we put a supercomputer on every junction we could not find the solution in practical time scales. So those lights are doing a better job than you might think! The human brain is the most powerful supercomputer of all (at the moment) and our research has shown that humans can outperform computers at the task of controlling traffic lights. Furthermore, by asking humans to play a traffic control computer game it has been possible to capture player's strategies using machine learning. Thus computerized traffic light controllers with comparable performance to the human have been developed. Read more on the Traffic lights that learn project page. Another way to improve computer control of traffic systems is to provide the computer with better sensory information. Traffic control computers can perceive what is happening on the roads using sensors such as inductive loops and number plate recognition cameras. Increasingly new sensor data sources such as Bluetooth, smartphone and in-vehicle-system data are becoming available. We have been working with Siemens PLC to develop new mathematical algorithms for processing data from all these sources to make sense of what is happening on the road. To read more please visit the Wireless vehicle detection for traffic control project page. Mcleod, F., Cherrett, T., Box, S., Waterson, B., & Pritchard, J. (2017). Using automatic number plate recognition data to investigate the regularity of vehicle arrivals. European Journal of Transportation and Infrastructure Research, 17(1), 86-102. Box, S. (2011). What can traffic lights learn from us? Traffic Engineering and Control, 52(8). Box, S., Lees-Miller, J., Snowdon, J., Hammond, J., Hamilton, A., Gupta, S., ... Waterson, B. (2013). 30 cars, figure of 8, 1 show: large scale proving ground experiments to investigate junction control. Paper presented at 45th Annual Conference of the Universities’ Transport Study Group, Oxford, United Kingdom. Lees-Miller, J., Wilson, R. E., & Box, S. (2013). Hidden Markov models for vehicle tracking with Bluetooth. Paper presented at Proceedings of the Transportation Research Board 92nd Annual Meeting, United States. Box, S., Lees-Miller, J., Snowdon, J., Hammond, J., Hamilton, A., Gupta, S., ... Waterson, B. (2013). Lessons from proving ground experiments to investigate junction control. Paper presented at 16th International IEEE Conference on Intelligent Transport Systems, The Hague, . Box, S., Snell, I., Waterson, B., & Wilson, R. E. (2013). Urban traffic state estimation for signal control using mixed data sources and the extended Kalman filter. Paper presented at 92nd Annual Meeting of the Transportation Research Board, Washington, United States. Box, S., Snell, I., Waterson, B., & Hamilton, A. (2012). A methodology for traffic state estimation and signal control utilizing high wireless device penetration. Paper presented at 19th ITS World Congress, Austria. Box, S., & Waterson, B. (2011). Machine learning in signalized junction control algorithms. Paper presented at 43rd Annual Conference of the Universities' Transport Study Group, Milton Keynes, United Kingdom. Box, S., Waterson, B., & Hounsell, N. (2010). A machine learning approach to signalised junction control. 11th annual S-Paramics User Group Meeting and Conference, Birmingham, United Kingdom. Box, S., & Waterson, B. (2010). Automated generation of S-Paramics models from GML data. 11th annual S-Paramics User Group Meeting and Conference, Birmingham, United Kingdom. Box, S., & Waterson, B. J. (2010). Comparison of signalized junction control strategies using individual vehicle position data. Paper presented at 5th IMA Conference on Mathematics in Transport, London, United Kingdom. Waterson, B. J., & Box, S. (2010). Determining rail network accessibility. Paper presented at 5th IMA Conference on Mathematics in Transport, London, United Kingdom. Box, S., & Waterson, B. J. (2010). Signal control using vehicle localization probe data. Paper presented at 42nd Annual Conference of the Universities' Transport Study Group, Plymouth, United Kingdom. Box, S. (2005). A new fast nanoparticle spectrometer for concentration and size distribution identification. Paper presented at 9th ETH Conference on Combustion Generated Nanoparticles, Switzerland.